This feature is to load three or more, up to a six port s-parameter file. 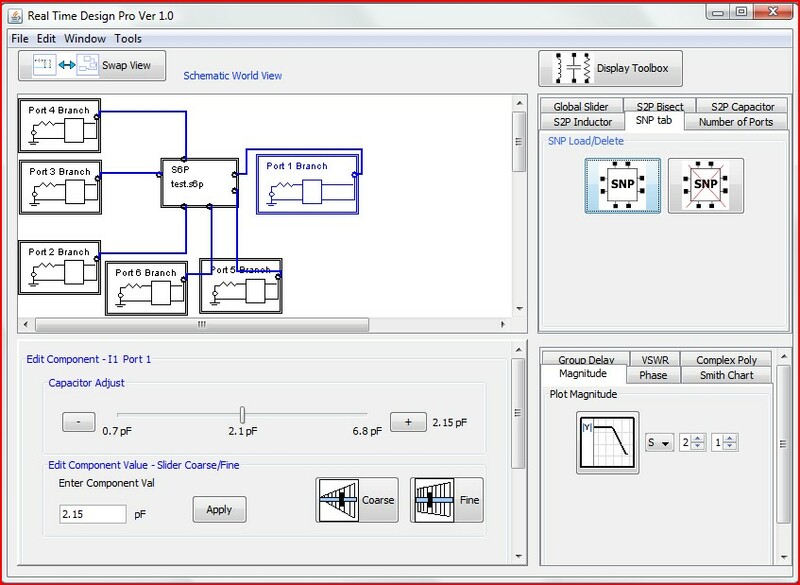 To load two port s-parameter files (S2p) use the Schematic toolbox S2p primitive where they can be imported either in series or as a parallel connection. The present version of the RFCooltools Pro requires the number of ports as the SNP file being red in. If the present number of ports is less then the file to be imported then the additional ports will be added while the original ports and the branch schematic information will remain unchanged, but re-assigned to the node of the multi-port s-parameter. If the present number of ports is greater than the file being imported, a prompt will ask if you want to 'Click Cancel' and manually remove the ports until the number of ports is equal to or less than the imported file then re-import the file, or 'OK' to force the removal of the highest port numbers until number of ports is equal to the imported file and the import process continues. To import, Click the “SNP tab” tab on the Main window then click the SNP icon. 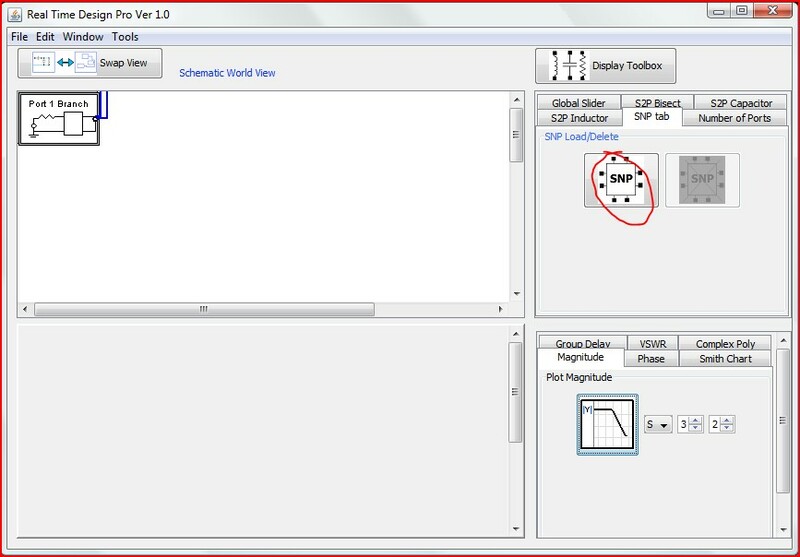 Select the file to import in the file browser window, and after a moment the SNp file will register in the Schematic World view as shown below. The port number of the SNp file entity corresponds to the port branch affixed to it. The port branch can be modified to match, add a filter etc.